This book takes a look at how eight animal and mechanical sounds are expressed in 14 different languages. 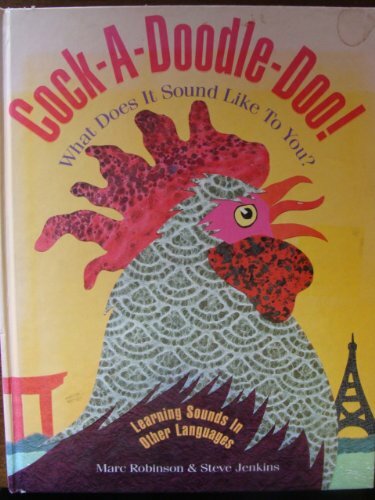 With each page, the child will encounter everyday sounds, such as a sneeze, a passing train and a crowing cockerel, through the ears of another culture. These universal experiences are illustrated with colourful images made with cut paper, cloth and other materials chosen to represent the different cultures. The rhythmic text spells out each sound phonetically and the book closes with a map of the world highlighting the areas where each language is spoken.